Photo courtesy Dr. Bob Cosby. Used by permission. The late Cosby was a Baptist minister who spent most of his life in Arizona. 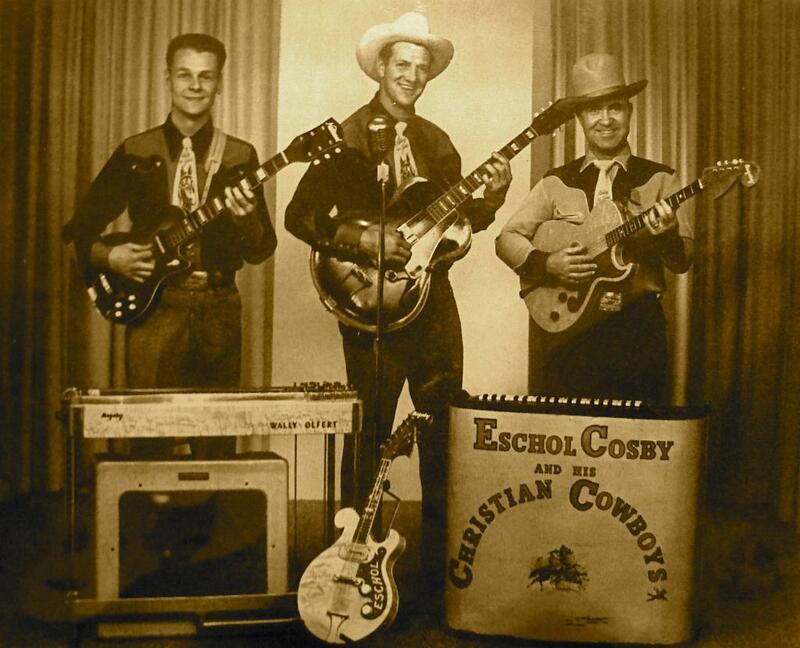 But in the 1940s, while studying at Biola College in Los Angeles, Cosby founded a pioneering Western-style gospel band, the Christian Cowboys, which he continued to lead until as late as 1962. 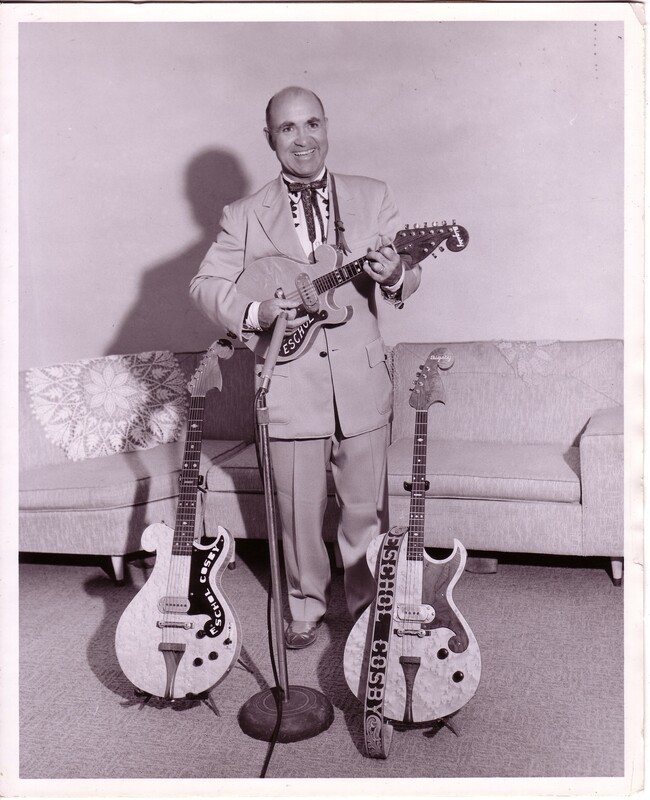 After seeing Merle Travis play his Paul Bigsby guitar, Cosby acquired a trio of electric Bigsbys: a standard guitar, a tenor guitar, and an 8-string mandolin. 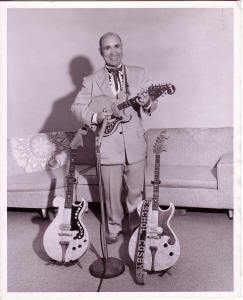 L–R: Wally Olfert, Charles Douglas, Eschol Cosby. Not pictured: Bill Stein, bass.